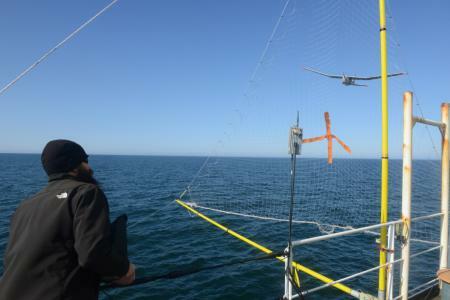 A conference in Norway this week looks at the use of unmanned aerial vehicles in the Arctic. Before drones became ubiquitous, the Arctic, with its wide-open spaces on the ground and in the skies, was pitched as an ideal place for developers to test their kit. But, as drone technology matures, and firms begin looking for ways to use the technology for things like delivering books and pizza to high-rises, the remoteness the Arctic once offered is no longer an advantage. Indeed, certain facts of life in the North may prove more of a liability: cold temperatures sap batteries of their power; ice-formation on rotor blades impairs flying performance or grounds drones entirely; lack of connectivity makes collaborating with developers elsewhere impractical. Mainstream adoption does not necessarily need to put Arctic developers out of business, however: the University of Alaska Fairbanks, which runs the state’s FAA test site, has been in the drone game since 2001, when the school began experimenting with wildfire mapping, marine-mammal population studies and surveying the trans-Alaska pipeline. As activities like natural-resource exploration and climate research intensify, the demand for the specialist skills honed in the region grows. This week, Norway’s third-annual national drone conference looks at how businesses operating in the Arctic can benefit from using unmanned aerial technologies. Of particular focus will be how drones can be applied by the fishing and oil industries during at-sea operations. New research, including a study by Statoil, a state-controlled oil firm, will be presented, as will technological developments such as anti-icing coatings that can make drones more useable in the region. Held in the northern city of Bodø each year and put on in part by regional outfits such as Norut, an Arctic research institute, the gathering has solidified Bodø’s reputation as a national center for drone technology. Discussions of China’s role in the region pick up after Beijing, on Friday, published its first-ever Arctic policy. In addition to addressing its priorities in areas such as exploration, research, environment and natural resources, the policy also lays out details of Beijing’s ambitions of establishing a Polar Silk Road as part of its Belt and Road initiative, a strategy to invest upwards of $4 trillion in infrastructure linking Eurasia and Africa to China. The Arctic Council’s Arctic Monitoring and Assessment Program working group gathers its experts on short-lived climate pollutants in Helsinki. Short-lived climate pollutants include substances such as black carbon, hydrofluorocarbons and methane. AMAP’s role is to compile information about the region’s environment and advise which actions governments should take to prevent and reduce pollution. AMAP is one of two Arctic Council working groups working with short-lived climate pollutants. The other, the Arctic Contaminants Action Program, focuses on national actions to reduce pollution. The Indigenous People’s Council for Marine Mammals is a coalition of tribal marine mammal commissions, councils and other native organizations formed for the purpose of identifying and addressing marine mammal issues of common concern. It meets for two days in Alaska to discuss how to avoid run-ins between polar bears and humans. The senior officials of the Barents Euro-Arctic Council gather in Luleå, Sweden for a regular meeting. During the session, the committee will take up cooperation with indigenous groups, planning for a high-level youth-issues meeting in April, as well as improving awareness of the organization’s work. The BEAC is the forum for intergovernmental cooperation on issues concerning the Barents region. Like the Arctic Council, the BEAC meets at the foreign-minister level in the chairmanship country at the end of each two-year chairmanship term. Between the ministerial meetings, it is the Committee of Senior Officials, civil servants representing the governments of the six member countries and the European Commission, that carry out the work of the council. CSOs and representatives from observer states and organizations meet between four and five times a year. The recipients of the sixth annual Arctic Inspiration prize are named on Wed., Jan. 31 at the Northern Lights conference and trade show. The Arctic Inspiration Prize recognizes groups and organizations, from north and south, that address the causes, rather than the symptoms, of issues of importance to the Canadian Arctic and the people who live there. The C$3 million ($2.4 million) prize is given each year to as many as 10 groups that have made a “substantial, demonstrated and distinguished contribution to the gathering of Arctic knowledge and who have provided a concrete plan and commitment to implement their knowledge into real world application for the benefit of the Canadian Arctic, its peoples and therefore Canada as a whole.” The awards are intended to be used to fund the ongoing work of the winning groups. Representatives from the range states, the five countries with wild polar bear populations (Canada, Greenland, Norway, Russia and the U.S.) gather for their biennial meeting to discuss measures to protect polar bear ecosystems and habitat. Dating from 1973, the agreement was reached at a time when overhunting was the main threat to polar bears. As populations have stabilized, issues related to a warming climate, including habitat loss and run-ins with humans, have received more attention. Surpassed only in renown by the Iditarod, the Yukon Quest has earned a reputation for being one of the most difficult sled-dog races in the world. The 1,000-mile (1,600-kilometer) race has been run each year since 1984 between Fairbanks, Alaska, and Whitehorse, Yukon, alternating starting cities each year. The race’s reputation comes from the tough weather conditions mushers face, the difficult trail and the limited amount of support they may receive. Some 50 teams of 14 dogs and one musher compete in the race, which takes anywhere from 10 to 16 days to complete. When and where: Starting Feb. 3 in Fairbanks, Alaska. The Week Ahead is a preview of some of the events related to the region that will be in the news in the coming week. If you have a topic you think ought to be profiled in a coming week, please contact us.